Hidden in the crevices of Newquay’s craggy coastlines are secrets waiting to be uncovered. Join us on our exclusive heritage kayaking tour as we travel back in time to dramatic storms, shipwrecked sailors, pirates and smugglers. It’s the perfect way to enjoy the history that shaped the Newquay of today, while learning a new ocean based skill. Perfect for those that have purchased a new kayak and are looking for safety tips, skills and guidance. The Gazzle is 2km of historic Atlantic coastline. Its crags and caverns once played host to tea plundering pirates, dramatic shipwrecks and witch hunts. 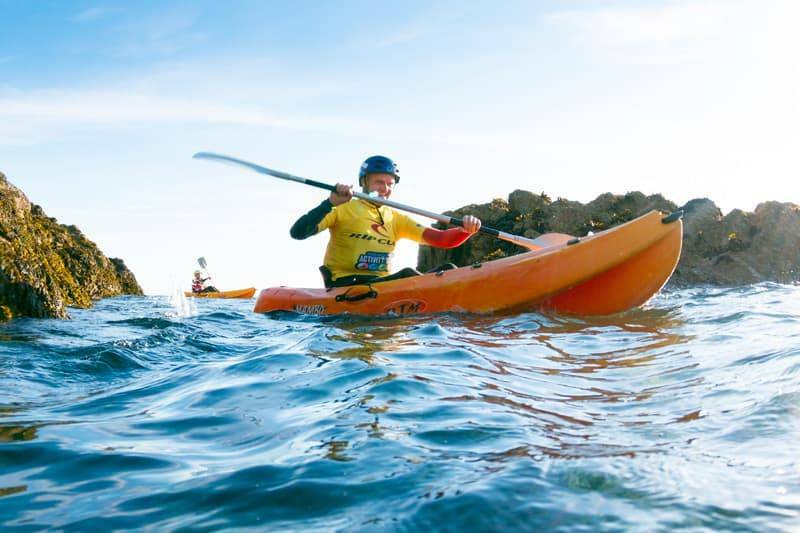 Now they’re our playground for coasteering, super SUP and kayak tours , but their past is something to hear! You’ll get kitted out in a wetsuit, buoyancy aid and helmet before negotiating Newquay’s Gazzle coastline by sit-on-top Kayak. With one of our experienced, qualified kayaking leaders for a history rich adventure. Kayaks provide a great perspective from which to see the dramatic sections of inaccessible coastline, its smugglers caves, natural rapids, craggy inlets and hidden coves. The tidal zone offers the chance to cruise at your own pace with our instructor always nearby to help you to up-skill your technique and navigate a route.